Looking for a way to turn on the flavor of your water without getting one of those “flavored waters” at the store? Not only can they be expensive, some have weird ingredients and/or added sugar. Blech. This recipe for Raspberry-Lime Water with Cardamom is an all-natural way to go, one that pumps up the taste level of good ol’ water to new heights! It’s fruity, tangy, and pretty in pink. After fully steeped, aim to finish this water within a day. The limes tend to get sour after that and affects the taste of the water. Even though the raspberries get soft, they’re still a tasty treat to eat while sipping. I think the cardamom adds an intriguing taste to the water, but you could certainly leave it out. seeds from 3 cardamom pods – Crush pods with the flat part of a chef’s knife and split open to reveal seeds. Add fruit and seeds to jar or carafe. Fill with filtered water. Let steep in the refrigerator overnight or 8-12 hours. To serve, stir mixture and strain water into glass. Add portion of fruit if desired. Ohh! 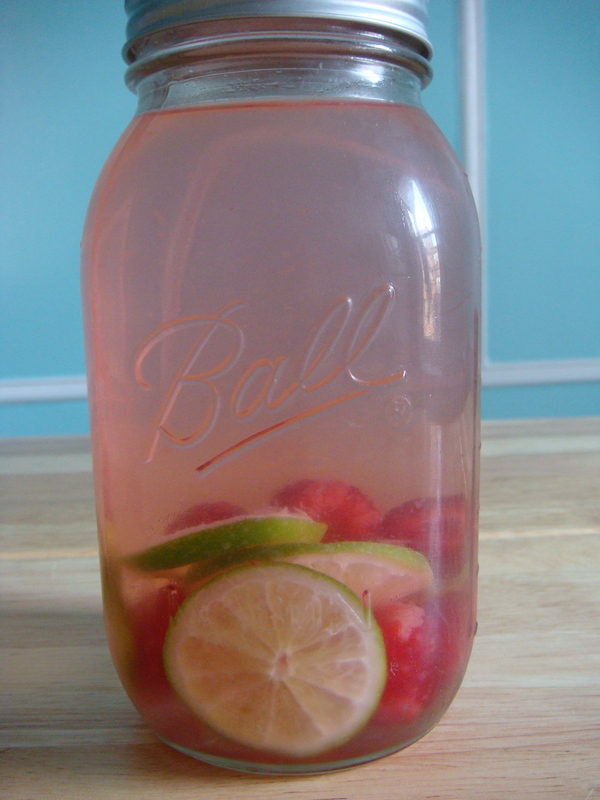 I have been trying to drink less processed and more water, but never thought about raspberry and limes. Thanks for the idea!